During the review process of the earlier GLODAPv2 mapped climatologies, several improvements were made, as suggested by reviewers. The differences between the two archives (GLODAPv2 and GLODAPv2.2016b) available at this site are outlined below (excerpt from the Lauvset et al. (2016) ESSD paper). Further details are given in the paper. • An error in the GLODAPv2 grid is now fixed so that the fields align with the world topography and the grid is the same as that in GLODAPv1.1 and WOA. • The latitudinal boundary of the mapping domain was moved from 180ºE to 20ºE to minimize the effect of any boundary effects during mapping. • An additional smoothing across this boundary is added in post-processing. scale the zonal CL to two times the meridional CL. Implicitly this means that every cell on the grid is equidistant and this leads to some spurious effects at very high latitudes (poleward of ~75º). • For the Arctic Ocean, because of its closeness to the northern boundary and the spurious effects encountered with the equidistant grid, we have applied an additional mask to remove boundary effects, and used alternative methods at depths greater than 1000 m (see section 2.5). • Due to time constraints, the “almost exact” error calculation has been replaced by the “clever poor man’s” error calculation. Based on detailed studies of the Mediterranean Sea (Beckers et al., 2014) the latter tends to underestimate the error by ~25% compared to the real covariance (“true”) error calculation. The underestimation is not uniform though, and much larger in areas with high data density. In areas where observational data are more than one CL distant the clever poor man’s error represents the true error well (Beckers et al., 2014). 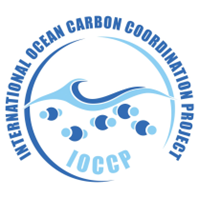 • We have manually masked some ocean regions where the errors are quite small but where we, based on our knowledge of spatial gradients and patterns of the ocean CO2 parameters, do not trust the results of the DIVA analysis. These areas include the Red Sea, the Gulf of Mexico, the Caribbean Sea, and parts of the Canadian Archipelago. There are also a very limited number of observations available in these regions. • GLODAPv2.2016b contains two additional parameters: Cant and TCO2preind.